With superior steel construction, an adjustable-height design, fast and easy hookup and disconnect ability, and a tight fit around the ball for ultimate security, this gooseneck coupler is perfect for your heavy-duty towing needs. 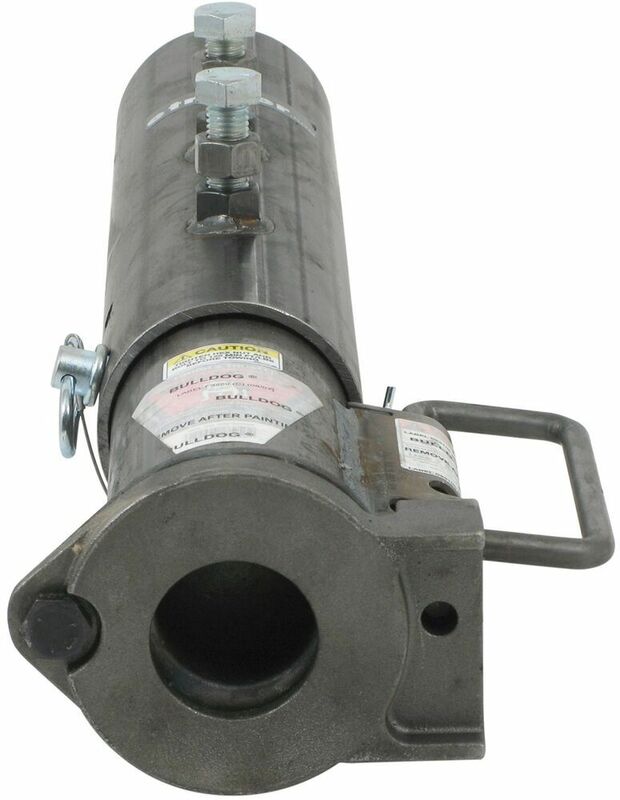 Call 800-298-8924 to order Bulldog gooseneck trailer coupler part number BD0289500300 or order online at etrailer.com. Free expert support on all Bulldog products. Guaranteed Lowest Price and Fastest Shipping for Bulldog Gooseneck Coupler - Adjustable - Round - 2-5/16" Ball - 30,000 lbs. 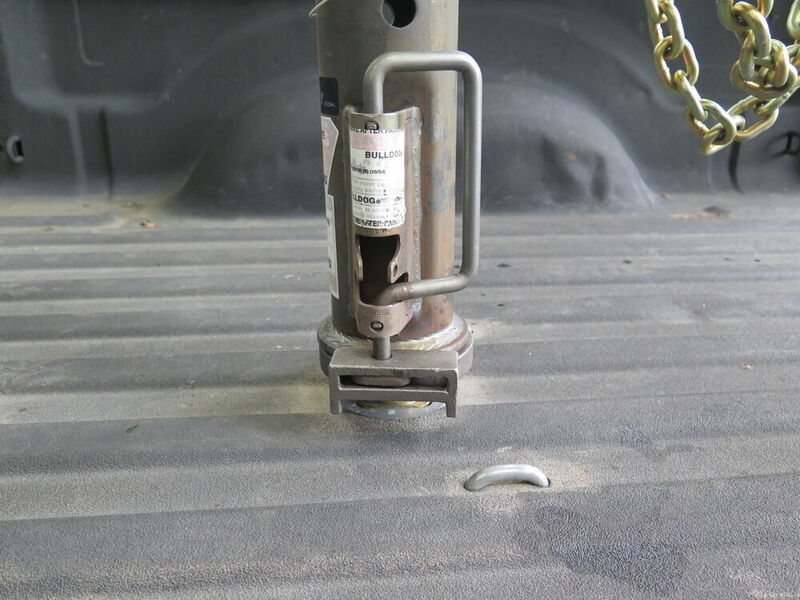 Gooseneck Trailer Coupler reviews from real customers. With superior steel construction, an adjustable-height design, fast and easy hookup and disconnect ability, and a tight fit around the ball for ultimate security, this gooseneck coupler is perfect for your heavy-duty towing needs. Gooseneck coupler fits a 2-5/16" ball and has 8" of adjustment to fit your application. 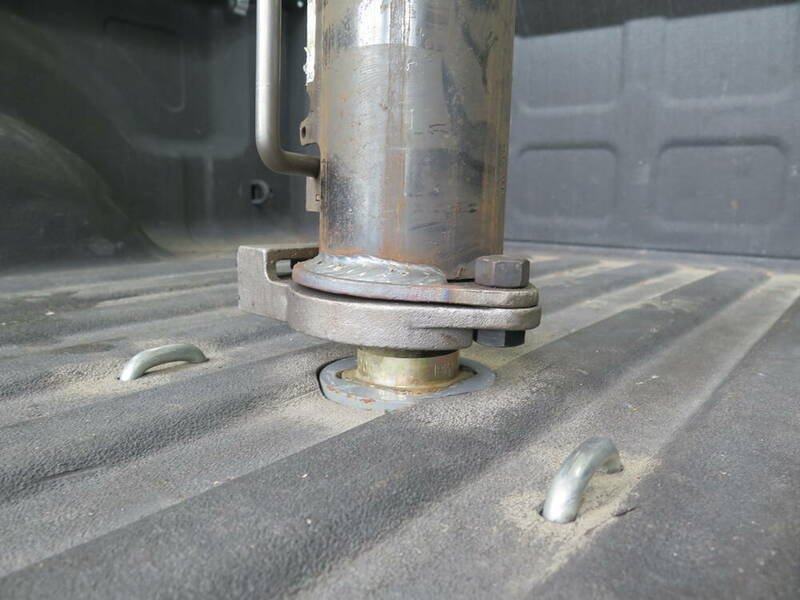 The curved internal ball clamp creates a tight fit for the hitch ball. A protected hidden spring latch is durable and easy to use. Gooseneck coupler offers 8" of vertical adjustment. Large locking plate makes hookup fast and easy. Ball pocket contacts ball on both sides for tight fit with less rattle. Grease fittings simplify maintenance. 24-1/2" Retracted height. Pair this base assembly with an existing outer tube for a gooseneck coupler that latches and locks automatically. 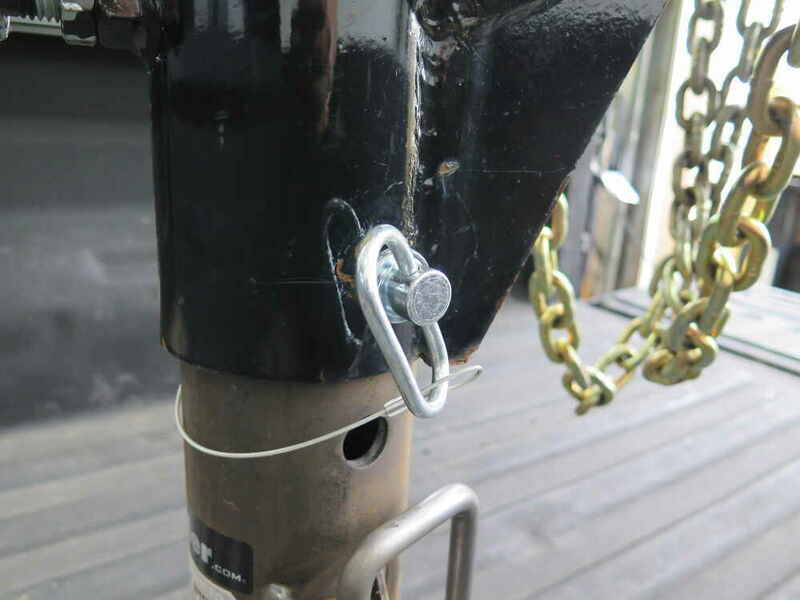 Built-in lock can be engaged when trailer is coupled and when trailer is unattached. Oversize, cone-shaped funnel eases hookup. Replacement Bulldog Gooseneck Coupler Outer Tube - Round - Weld On - 20"
Order: RelevanceNewestRating - High to LowRating - Low to High With superior steel construction, an adjustable-height design, fast and easy hookup and disconnect ability, and a tight fit around the ball for ultimate security, this gooseneck coupler is perfect for your heavy-duty towing needs. Do you have a question about this Gooseneck Trailer Coupler? We do offer just the inner tube portion for Bulldog # BD0289500300 gooseneck coupler. That part # is BD1289050300. I do see that you have already ordered the entire gooseneck coupler, part # BD0289500300. Given that your original coupler could potentially have hidden damage or have been weakened by the accident, your decision to replace the entire unit is the right choice for safety reasons. The tube part # BD1289050300 that you referenced is not designed for use with set screws. It is designed for a pin that runs through it and the outer tube. 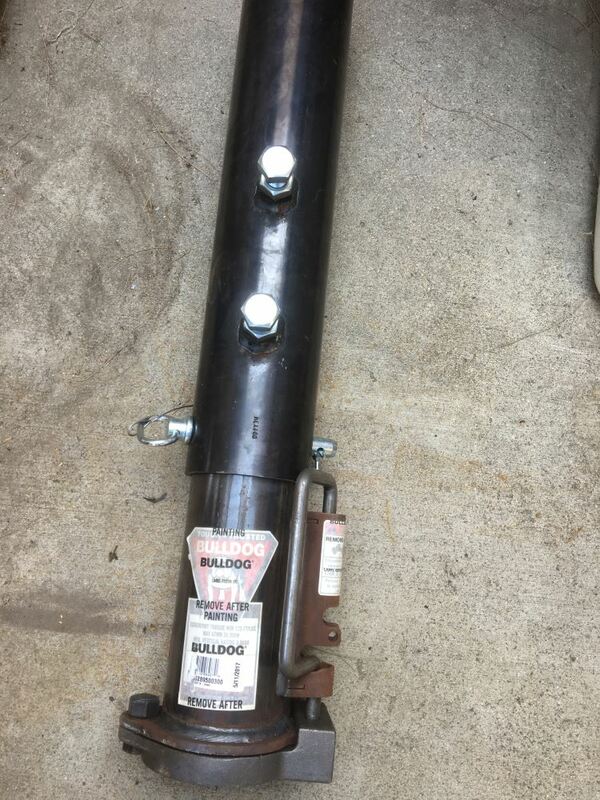 Best option we have would be to go with the Bulldog Gooseneck coupler part # BD0289500300 which comes with a new outer tube that you could replace your trailer's with. The only offset gooseneck coupler we offer is the B&W Extend-A-Goose Gooseneck Coupler # BWTEXA4200 that has a 24k capacity. The only couplers we offer with a 30k capacity would be one like the Bulldog Coupler part # BD0289500300. 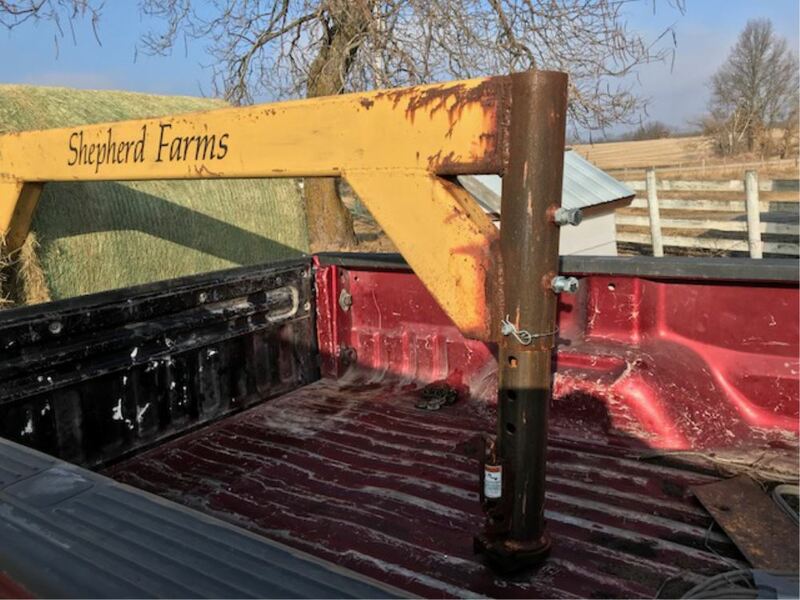 It sounds like you have something like the part # BD0289590300 on your trailer now and you are looking for a way to convert it to a gooseneck hitch that is designed to couple to a gooseneck ball. Which the only inner tube gooseneck hitch that would fit your square 4-1/2 inch outer tube would be the # BD1289210300. A better solution might be to completely remove what you have on your trailer and install an entire new assembly like part # BD0289500300. 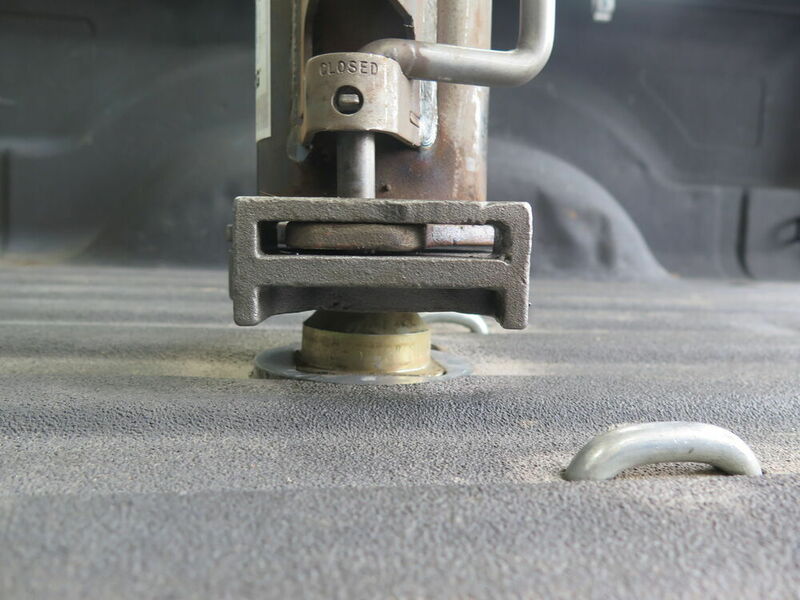 You will need to contact the trailer manufacturer to see if there is a problem with drilling a hole for the pin in the tube on the trailer to use with the # BD0287610300 inner tube. This tube has a diameter of 4 inches so you want to make sure the outer tube you have can accommodate the tube. You may want to consider another option which is to remove your old coupler and use a new one like part # BD0289500300. This should be installed by a qualified welder. The Replacement Bulldog Gooseneck Coupler Outer Tube # BD0233100300 has an outer diameter of 4-1/2 inches and is 20 inches long. It is the replacement outer tube for a number of Bulldog Gooseneck Couplers such as # BD0289500300 which has an inner tube of 4 inches. It sounds like you want a gooseneck coupler that includes both the outer and inner tubes. The outer tube is permanently welded to the trailer and the inner tube is the adjustable part with the coupler. We have several options, see link below. 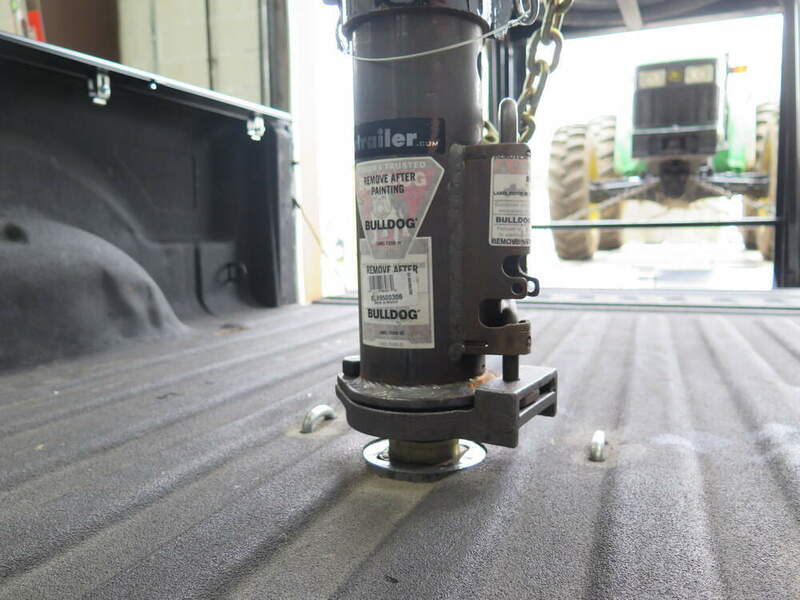 The most popular is Bulldog Gooseneck Coupler - Adjustable - Round - 2-5/16" Ball - 30,000 lbs Item # BD0289500300. We also have some square tube options such as # BD1289140300. The inner tube on the Bulldog Gooseneck Coupler # BD0289500300 referenced in your question has an outer diameter of 4 inches and an inner diameter of 3-5/16 inches. This adjustable gooseneck coupler features a weight capacity of 30,000 pounds and a range of adjustement of 8 inches. Highest quality gooseneck trailer coupler for the best price. Most detailed, accurate gooseneck trailer coupler information available.